We humans are sensory creatures. 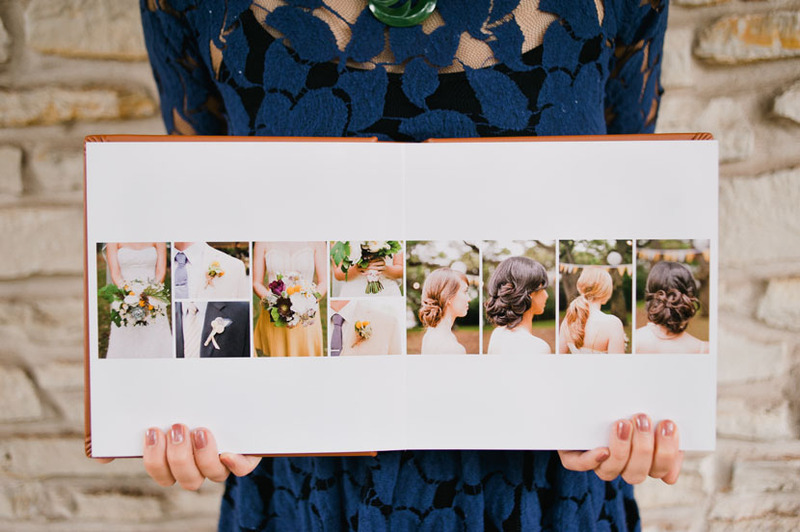 Holding a bound album full of your wedding photos is so much more satisfying than keeping them on your computer hard drive. We love to touch. We love to feel. 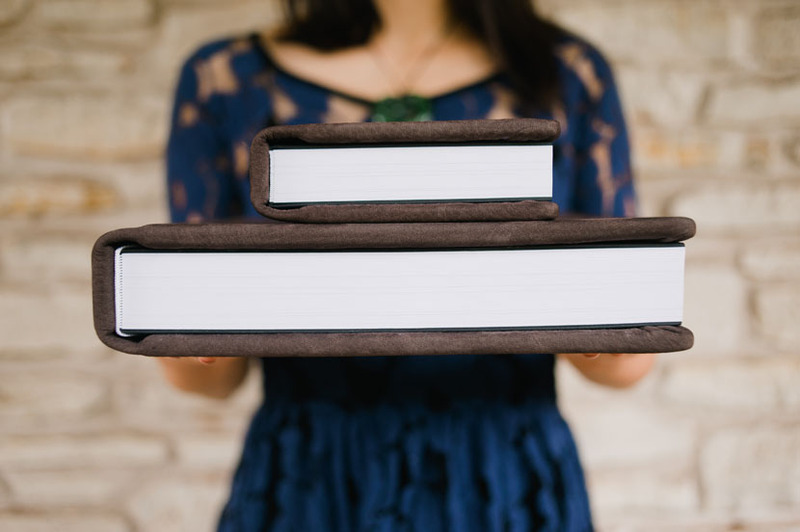 Digital is convenient, for sure, but will you be passing your wedding photos to the next generation via disk? 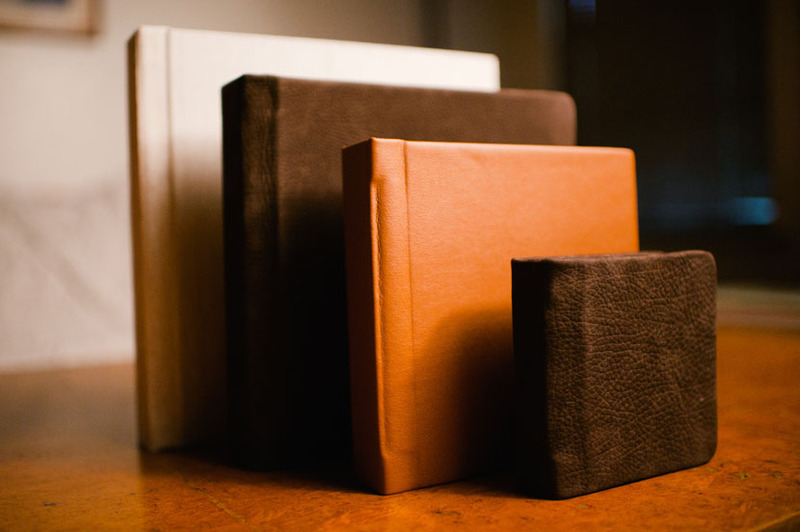 Or will you hand them something weightier — something substantial and tactile? Something that you can both hold in your hands together? Touch. 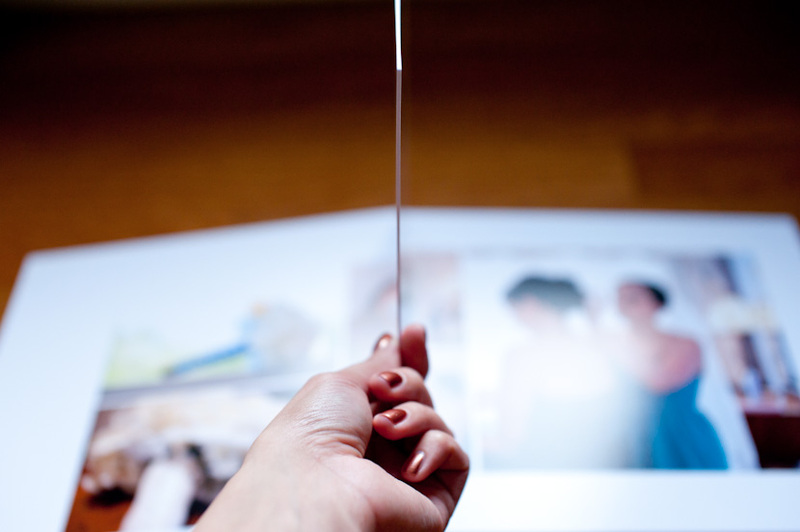 Touch your photographs with your fingers. 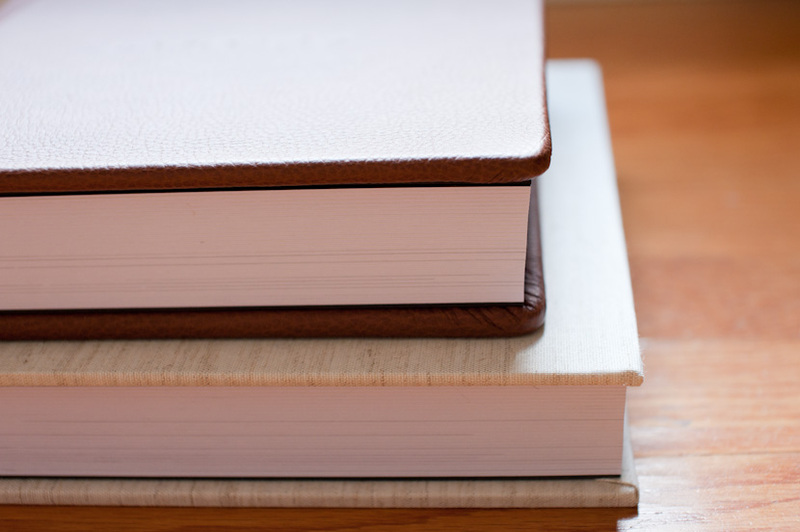 Turn the thick, layflat pages. Smell the cover. 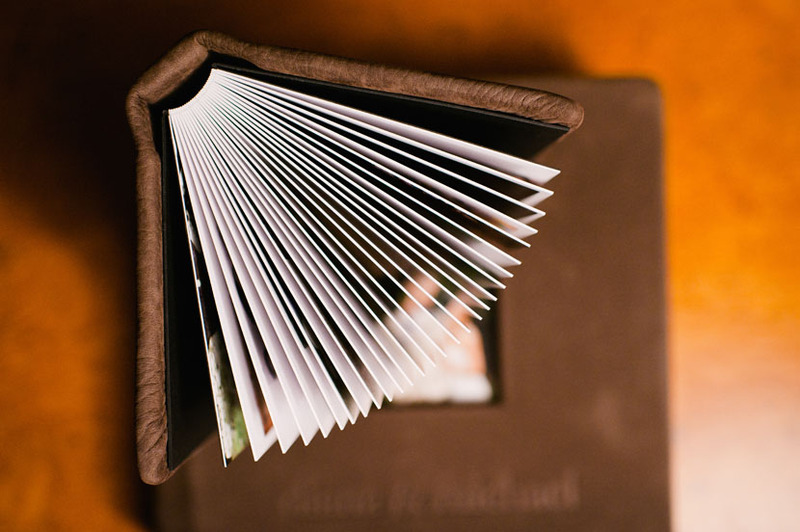 Relive your memories and share them with your family. 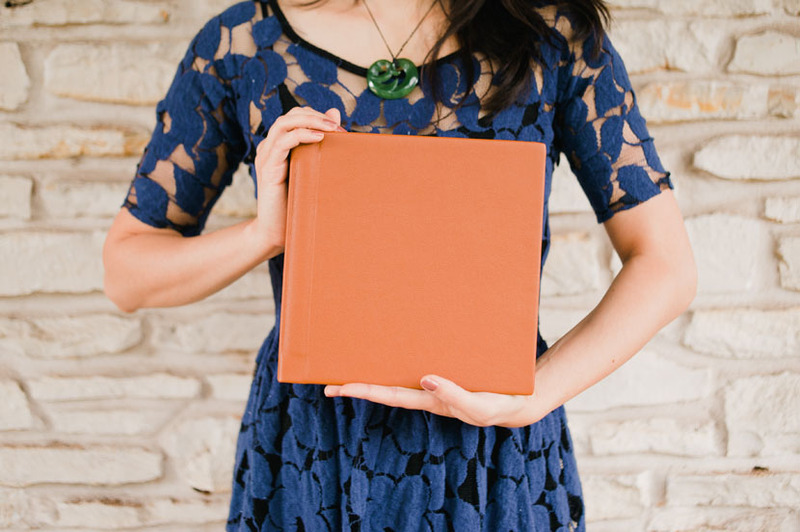 You will cherish your first family heirloom for years to come. 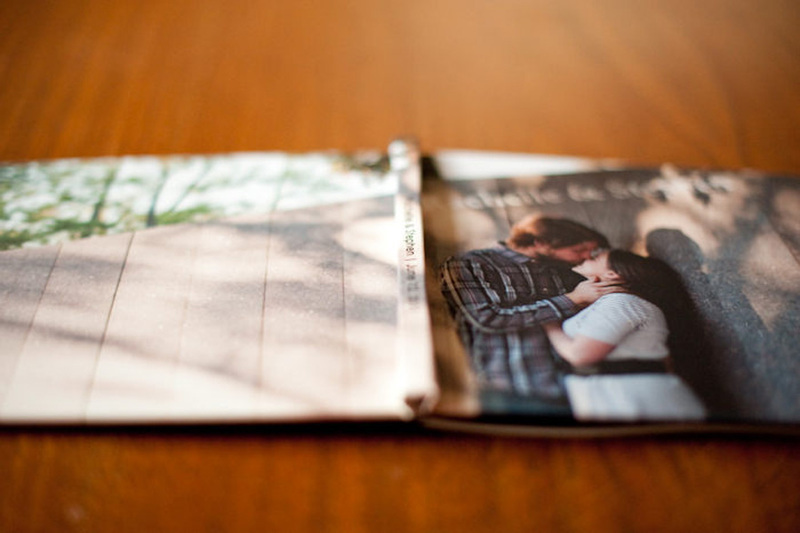 I personally design each album to best tell the story of your day, then send the files to a professional lab for printing. 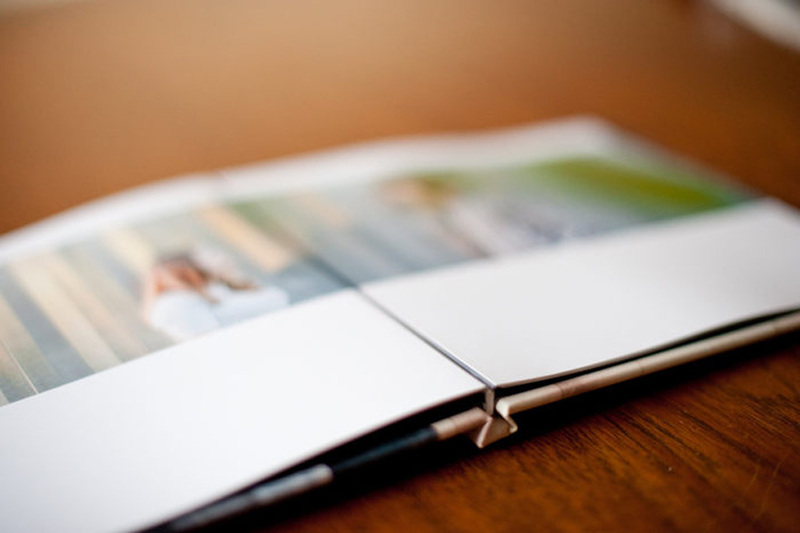 Flushmount album pages are photographically printed on high-quality archival paper and attached to a thick substrate, resulting in a heavy, dense book that will survive generations. 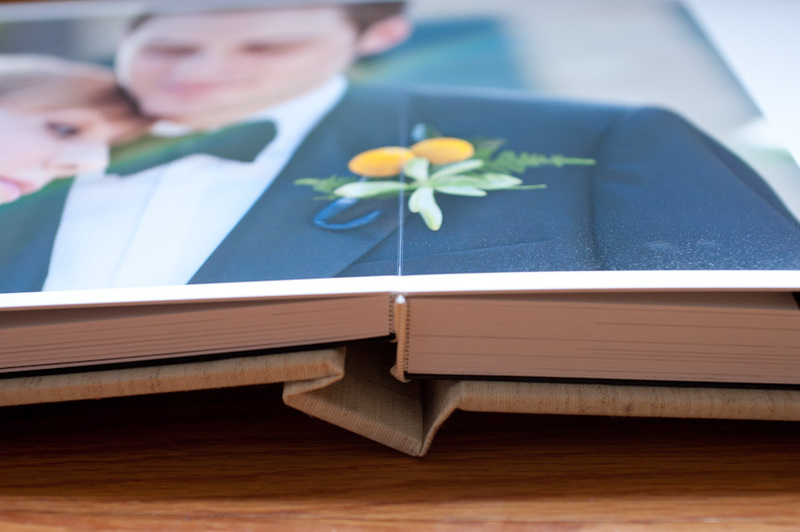 The albums lay flat, whether you are on the first spread, the middle spread, or the last spread in the album. 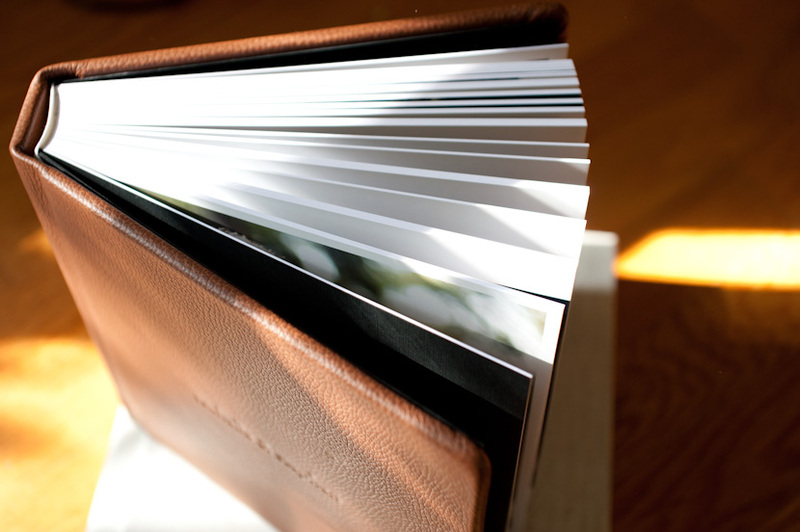 The pages have no middle gutter, creating wide, panoramic views with no apparent seam. 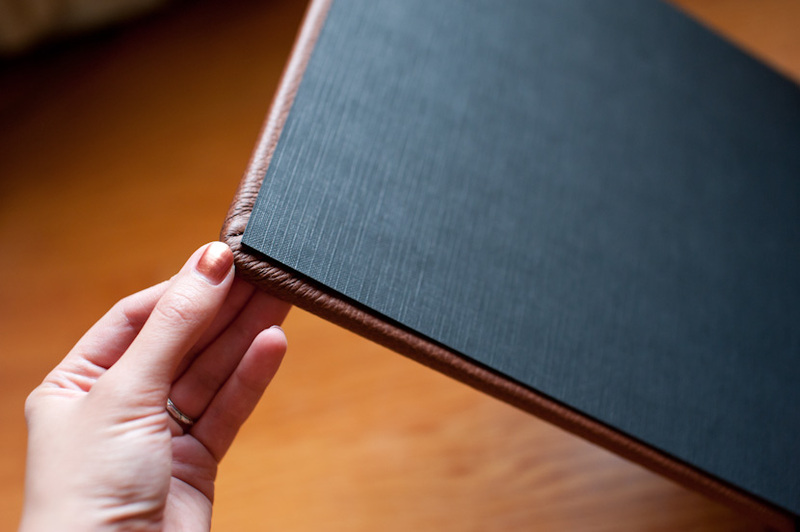 All flushmount albums come with supple leather or luxurious Japanese silk fabric covers in different colors, and can be upgraded with additional style options such as cover text embossing or photo cameo cut-outs. For more information and a detailed price list, contact me directly. 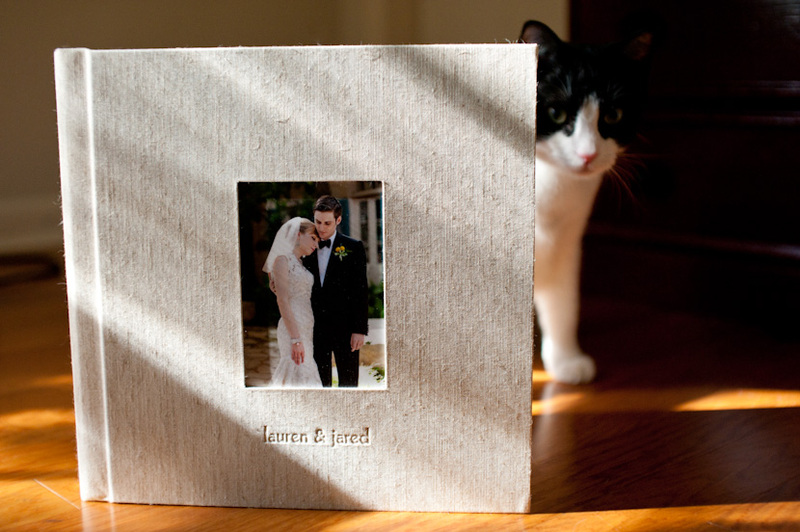 When you purchase your custom flushmount wedding album, you have the option of adding parent albums — smaller replicas of the couple’s album — to your order. 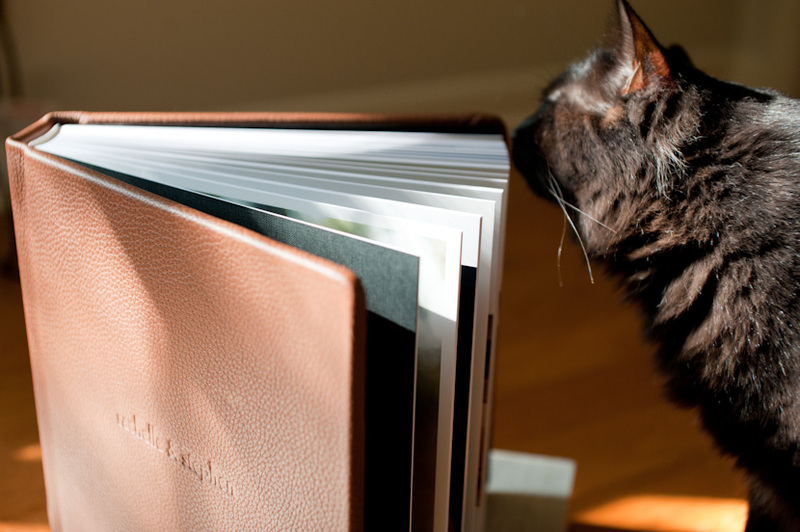 These scaled-down versions of the wedding album come with several basic cover color options in quality leather, optional cover embossing, and slightly thinner pages. I like to shoot engagement sessions so that I can get to know my couples better — and so that you can get to know me, my personality, and my shooting style before your big day. 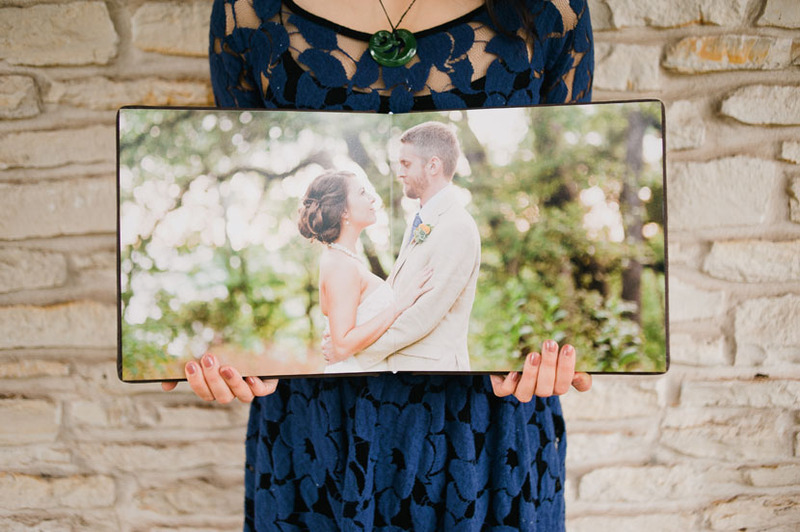 A fun way to integrate your engagement photos into your wedding, besides using them for your wedding website or save-the-dates (which I encourage! 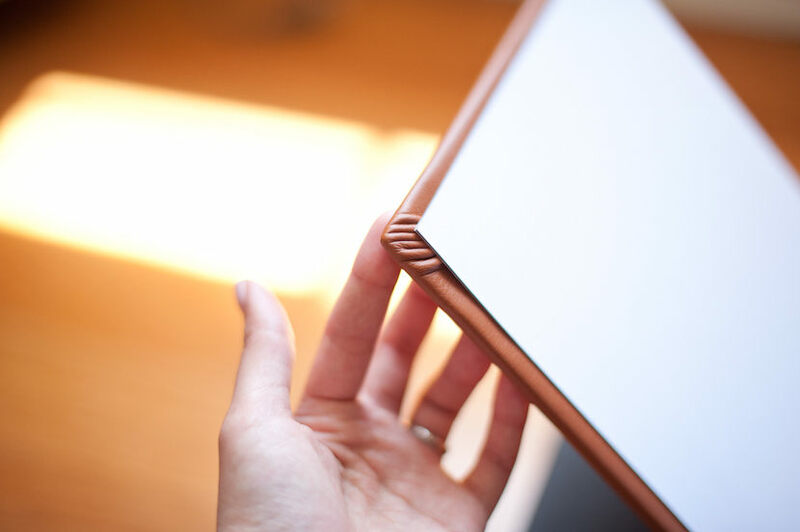 ), is to create a sign-in book. 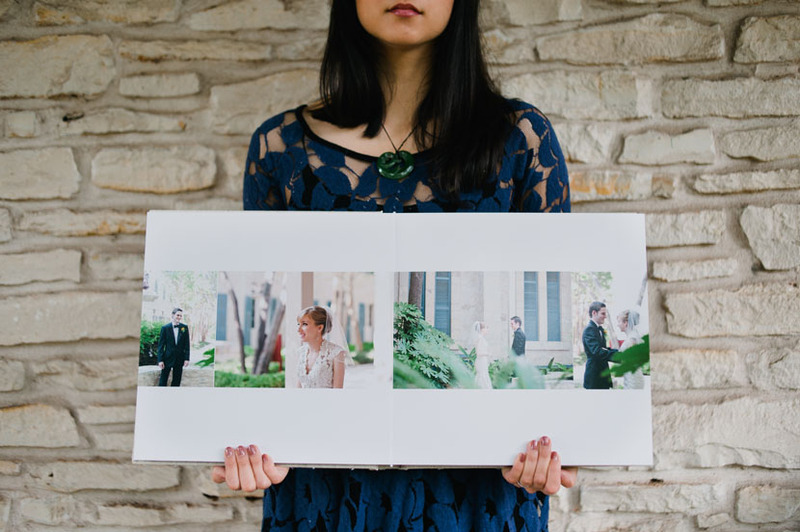 The guestbooks are 8×8″ and anywhere from 14-24 press-printed pages, depending on the number of your favorite photos from your session and number of guests estimated to attend your wedding. 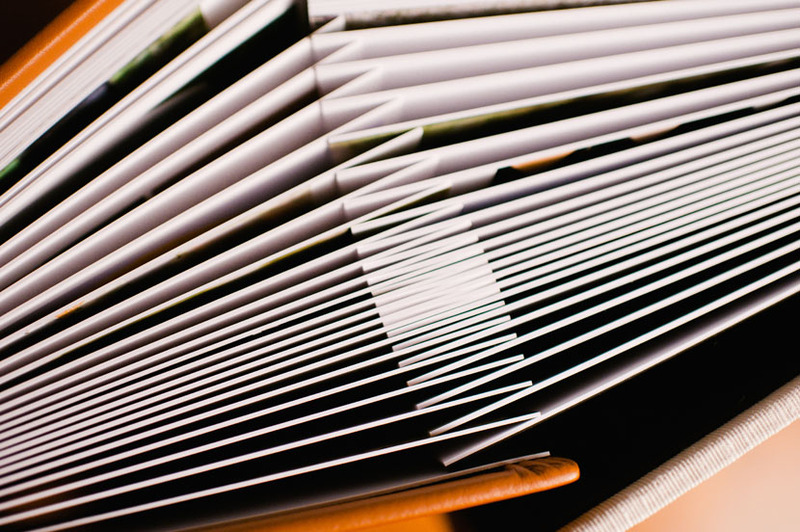 There is plenty of space for messages and signatures, on hefty, weighted pages. 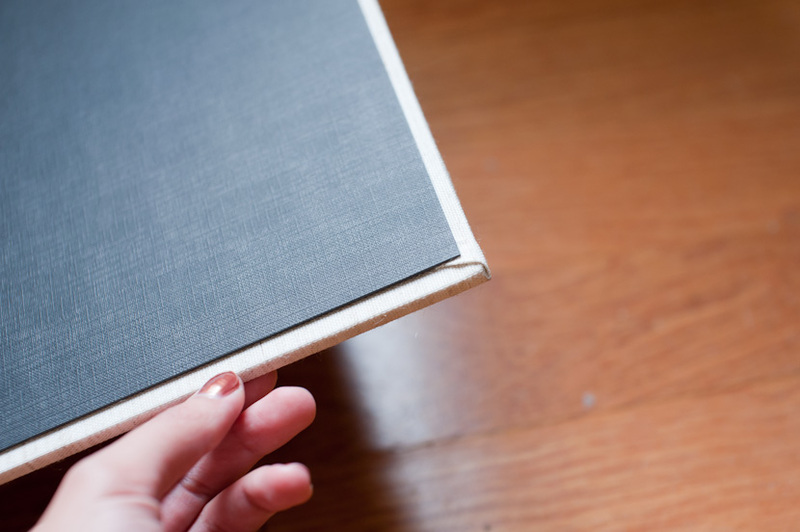 The leaves of the book are hinged, which means that the book can lay flat on your sign-in table. 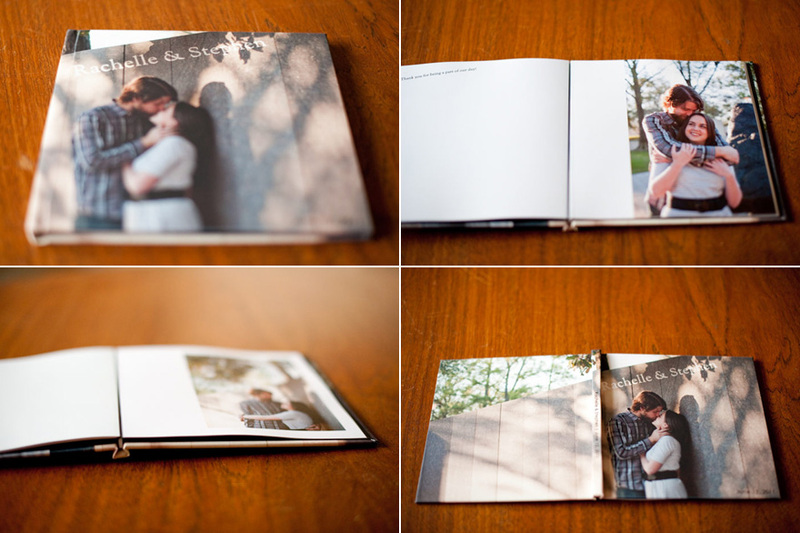 These feature a photographic hardcover and your name and wedding date on the spine. 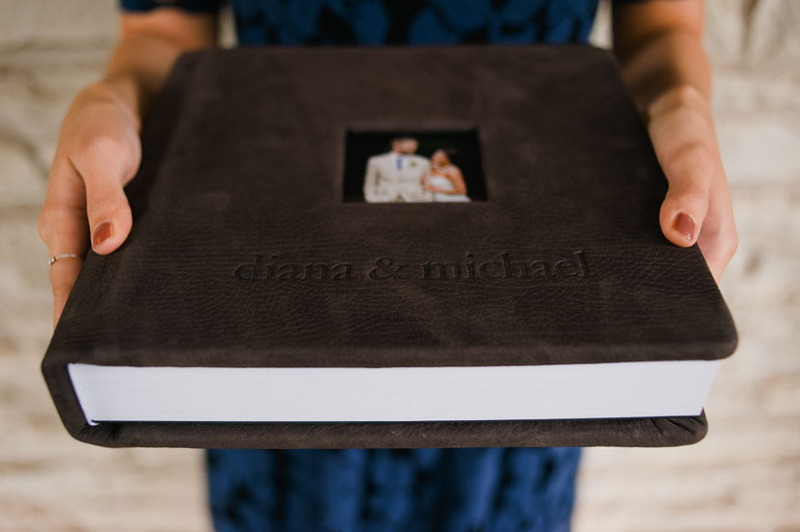 If you are interested in purchasing a custom-designed guestbook, the engagement session must be scheduled at least 10 weeks before your wedding date, to be sure that the photos can be processed and the book can be designed and ordered with enough turnaround time. All items shown here are subject to state sales tax, if applicable. Prices are subject to change at any time. 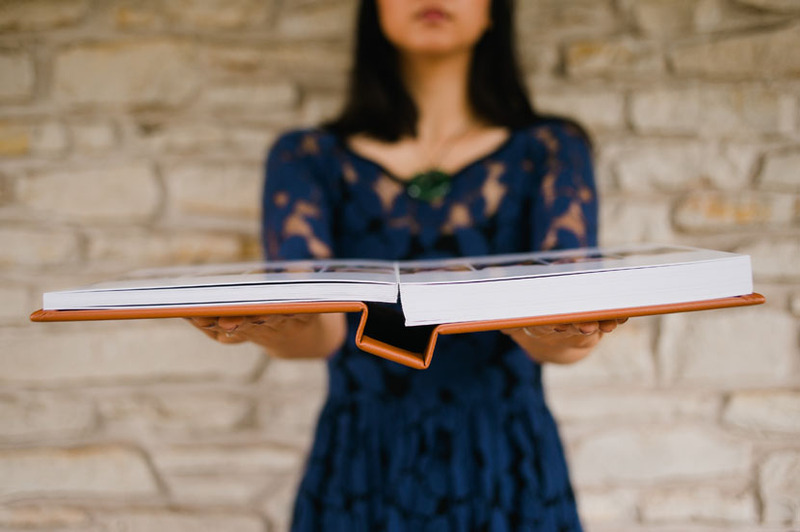 Photos of me holding the albums were taken by Eric Kotara.